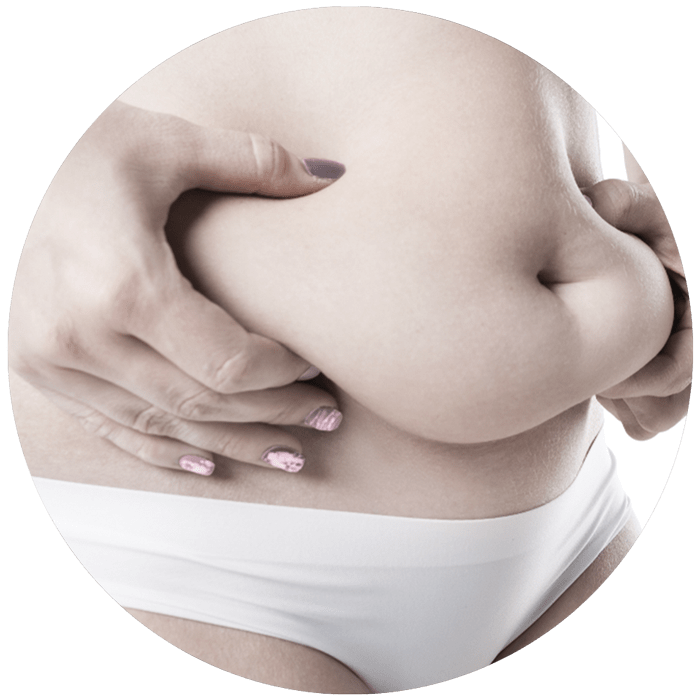 A tummy tuck, or abdominoplasty, is a popular cosmetic surgical procedure that is performed to improve the appearance and contour of the stomach and the entire abdominal area. The procedure is designed to remove excess loose skin and fat from the middle and lower abdomen and to tighten the muscles of the abdominal wall. A tummy tuck can dramatically resculpt the entire area following pregnancy or weight loss, creating a slimmer silhouette. Seattle tummy tuck patients can look forward to increased confidence and improved comfort after their procedures, as excess skin will be trimmed and tightened and clothes will fit better. Dr. Craig Jonov is proud to offer this procedure to patients in the Lynnwood and Seattle area who would like to regain a more toned and youthful abdominal area. I chose Dr. Jonov because of his expertise, candor, and from recommendations from past clients. The tummy tuck and breast lift that I received are fairly invasive procedures and not to be taken lightly. My goal was not to improve on what God gave me, but to get my body back. I am currently only six weeks post surgery and am extremely happy with my results. For the first time in six years, I will be comfortable wearing a bikini again this coming summer. I feel good about myself when I look in the mirror and have confidence about my body when I am out in public. It is a wonderful feeling! Thank you, Dr. Jonov. The skin is the body’s most elastic organ, expanding and contracting with weight gain and loss. Essential components in the skin allow it to stretch, but it can’t stretch indefinitely. Once the skin is stretched past the point where it can retract naturally, it will hang and sag, disrupting and obscuring the natural body contours in areas like the abdomen. Diet and exercise can help to reduce unwanted fat, but it cannot resolve sagging skin. When natural methods of body contouring have been ineffective, an abdominoplasty can restore the body’s contours and improve the patient’s overall silhouette. An ideal candidate for a Seattle tummy tuck surgery are men and women who are at or near their goal weight but are bothered by loose abdominal skin, loosened abdominal muscles, and isolated stubborn abdominal fat that won’t respond to diet and exercise. Many patients seek tummy tuck after pregnancy or weight loss has changed their skin’s ability to retract. Because the procedure does involve a large incision and a scar that can be concealed under clothing but will not typically fade fully, patients should consider the cosmetic tradeoff of sagging skin versus the incision. Patients with significant sagging skin usually feel much more confident after surgery, but patients with minor sagging skin may not want to go through the procedure and healing period. Patients should be in general good health, should not smoke, and should maintain realistic expectations for the procedure. Reviewing before and after photos can help patients set reasonable goals for the procedure. It is best for women to wait until they are done having children before moving forward with an abdominoplasty since subsequent pregnancies could affect the aesthetic results of the procedure. Prospective Seattle tummy tuck patients will need to meet with Dr. Jonov at his office before scheduling their plastic surgery procedure. There are several reasons that this consultation is crucial to the procedure’s success. First, the consultation allows Dr. Jonov to assess the patient’s candidacy and ensure that they are healthy enough for elective surgery. Second, it allows Dr. Jonov to gain information about the patient’s goals and expectations so he can design a custom treatment that suits their individual needs. Finally, it presents an opportunity for patients to get to know Dr. Jonov and his staff, ask questions and address any concerns they may have. A tummy tuck procedure takes place at Dr. Jonov’s accredited Seattle plastic surgery center. General anesthesia is typically required, as the incision extends from hip to hip just above the pubic area in a traditional abdominoplasty. A less invasive mini tummy tuck may not require general anesthesia but is more limited in what it can accomplish, removing excess skin and fat in the area below the belly button. During a full tummy tuck, the patient will be completely asleep and will feel no pain. 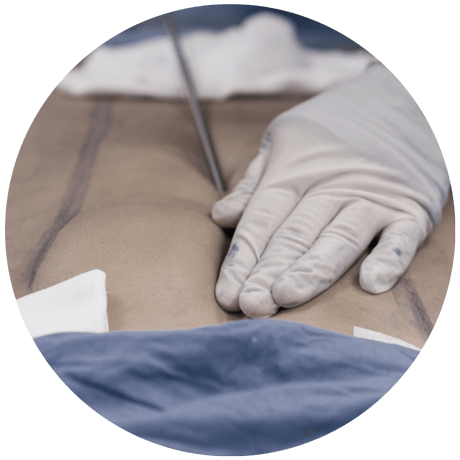 During an abdominoplasty at Seattle Plastic Surgery, the patient’s sagging abdominal skin is trimmed and tightened to reveal the body’s true contours underneath. Any stubborn fat remaining in the area may be liposuctioned away to improve the appearance of the area and to create a toned look. Finally, some patients experience the separation of the vertical stomach muscles, which must be rejoined and sutured into place. This is particularly common in women after childbirth, since the baby pushes against the mother’s abdominal muscles as it grows. A full abdominoplasty takes an average of three to four hours to complete. A mini tummy tuck usually lasts around two hours and addresses only the abdominal area below the belly button. In the first few days after a plastic surgery procedure like a tummy tuck, patients can expect some swelling and discomfort. Patients may choose to have their surgical procedure as an outpatient procedure or spend the night after surgery in the hospital. Pain medications will be prescribed to help control any discomfort and specific recovery instructions will be given to patients before they are discharged. It is important that patients follow these instructions carefully to help ensure optimal healing. The sutures used to tighten the abdominal muscles are absorbable beneath the skin. The sutures will not require removal except for four sutures in the belly button area. Recovery time varies from patient to patient. Most are able to return to work within a month after their surgery. Strenuous exercise may need to be postponed for six weeks or more. Over time, the scar will continue to flatten and fade. Most patients are able to conceal their incision lines underneath their underwear and bathing suits. Like all surgical procedures, tummy tuck surgery does involve some risks. However, patients are screened for candidacy prior to the surgery to help minimize risk and are given specific pre- and post-operative instructions to further reduce risk. Working with a reputable, board-certified plastic surgeon is essential for both your results and safety. Minimizing risk is important, but patients must be aware of the potential complications and be willing to accept the possibility of one or more of them occurring. Some risks include bleeding, infection, anesthesia complications, unfavorable scarring or aesthetic outcome, and persistent numbness. Dr. Jonov will explain the risks to you at your consultation so you can make the decision that feels right for you. Can the abdominal muscles re-tighten on their own? Muscle separation in the abdominal area is most common during pregnancy. As the fetus grows, the muscles in the abdominal wall are gradually pushed and pulled apart. During pregnancy, the skin and muscles are pushed taut, but they become soft and loose after childbirth. The muscles are unable to contract and tighten once they are loosened during pregnancy, meaning that no amount of exercise can correct the problem, known as diastasis recti. Surgical intervention is necessary to re-tighten the muscles. How long should I wait after having a baby before I have a tummy tuck? Patients are advised to give themselves time to work toward their goal weight and allow their skin time to tighten as much as possible after childbirth or weight loss for best results. This could take up to a year or more. A tummy tuck after one or more pregnancies is best performed once the patient is done having children. You should ensure that you are at a stable weight and not planning any future pregnancies before moving forward with body contouring procedures if you want to achieve optimal, long-lasting results. Will an abdominoplasty affect my belly button? In a full abdominoplasty, the navel must often be repositioned while the surgeon is manipulating the tissues. During a mini tummy tuck, however, only the abdominal area under the navel is contoured. A tummy tuck is a major procedure that affects both the loose skin and muscles in the abdominal area. The area needs time to heal and recover after surgery and Seattle patients should wait until Dr. Jonov gives them the green light to go back to their normal workout routines. This can take up to six weeks or more. Light activity like walking is encouraged after the first few days of recovery as it can help encourage healing. Strenuous exercise too soon, however, can compromise the patient’s safety and results or increase the risk for complications. How visible will the scars be? A tummy tuck will leave a large scar. That’s one of the tradeoffs of the procedure. However, patients can usually hide the scar underneath a swimsuit or underwear. Some patients’ scars fade more than others and caring for the scar according to Dr. Jonov’s directions can help it fade more effectively. Removing excess skin during an abdominoplasty will also remove stretch marks that are present in that area of the skin. However, not all stretched skin will be removed during the procedure. Some stretch marks will remain. Abdominoplasty is a body contouring surgery, not a skin treatment. When can I go home after my surgery? Dr. Jonov offers tummy tuck surgery at his Seattle area accredited plastic surgery center as an outpatient procedure. However, some patients choose to stay overnight in the hospital after their procedure. Patients will need to have someone drive them home, and ideally stay with them for the first few days after the surgery. Dr. Craig Jonov offers his extensive expertise in body contouring procedures to patients in the Seattle area who would like to restore their body contours and achieve improved self-confidence. For more information, or to schedule a tummy tuck consultation with Dr. Jonov, call Seattle Plastic Surgery at 206-324-1120 or fill out the online contact form. If you’re wondering whether you are a good candidate for a tummy tuck in Seattle, you owe it to yourself to schedule a private consultation with Dr. Jonov. Call us at 206-324-1120 or fill out our online contact form today. Dr. Jonov looks forward to meeting you and helping meet your aesthetic goals.